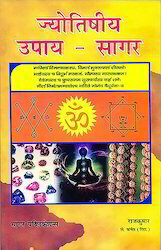 Offering you a complete choice of products which include predictive techniques and the application of astrological, encyclopedia of vedic astrology remedies, vedic remedies in astrology, shanigrah ka anugrah, upay martand and shani shaman two vols. Predictive techniques, astral remedies, effects of bad lords and planets in bad houses, timing of events, recovery of patients and return of missing persons, financial prosperity, handling the progenic Solution, psychiatric Solution, delay in marriage, stability in marriage, identifying early widowhood and criminal tendencies, relevance of vastu to astrology. 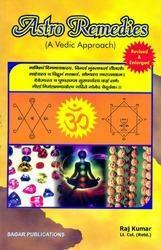 The author has dwelt with the various remedies ranging from yoga, pooja, colour Therapy and other methods. 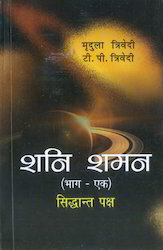 This is a comprehensive book where the remedies have been related to various planets and their effect. 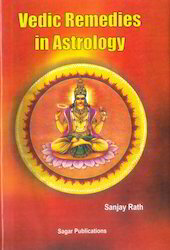 The author has tried to compile the various remedies that are available in the public domain and that have been learnt from experience so that it could be beneficial to both the common man and those interested in the science of astrology. 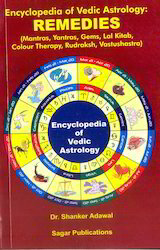 For the first time a book on Vedic astrology not only consolidates the various types of remedial measures available in the sacred literature, but also shows how to read the horoscope and recommend Vedic remedies. The author explains the classification of remedial measures on the basis of guna (nature) and cautions the astrologer against indulging in astrology and other forms of astrology. A compendium of provides a ready reference for the professional Vedic astrologer and a comprehensive chapter on gemology with ready reference tables guides the reader in the choice of right gemstone. We offer Shanigrah Ka Anugrah to our clients. We offer Upay Martand to our clients. We offer Shani Shaman (Two Vols) to our clients. 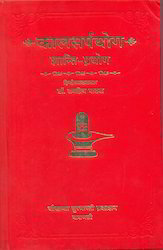 We offer Kaalsarp Yoga Shanti Prayog Books to our clients. We offer Jyotishiye Upay Sagar to our clients. We offer Astro Remedies A Vedic Approach to our clients.